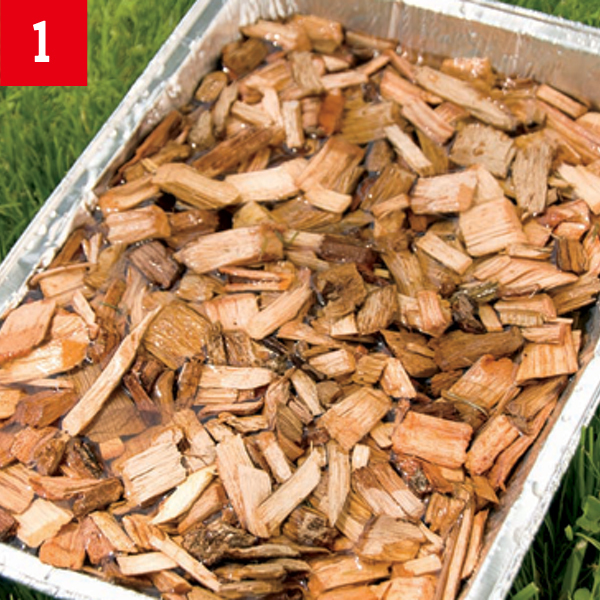 If you are using wood chips, soak them first in water for at least 30 minutes so that they smolder and smoke slowly rather than flame up. Dump the charcoal on one side of the charcoal grate. 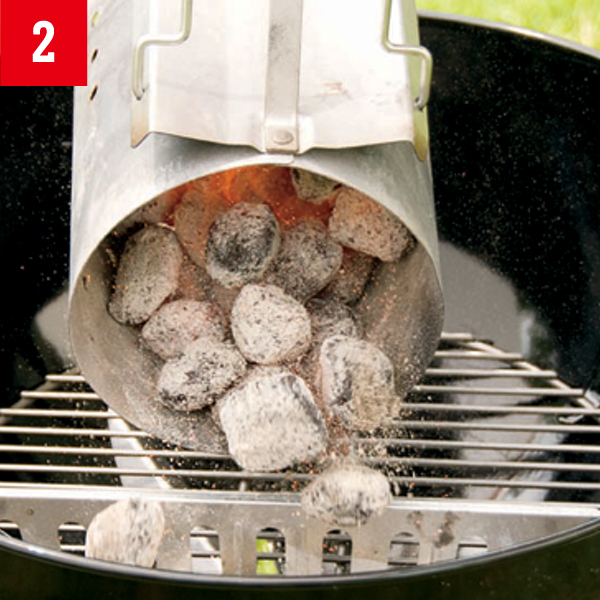 A charcoal basket holds the coals together in a compact bunch and slows down the burning. Tap the edge of the basket with tongs every hour or so to knock the ashes through the basket holes. 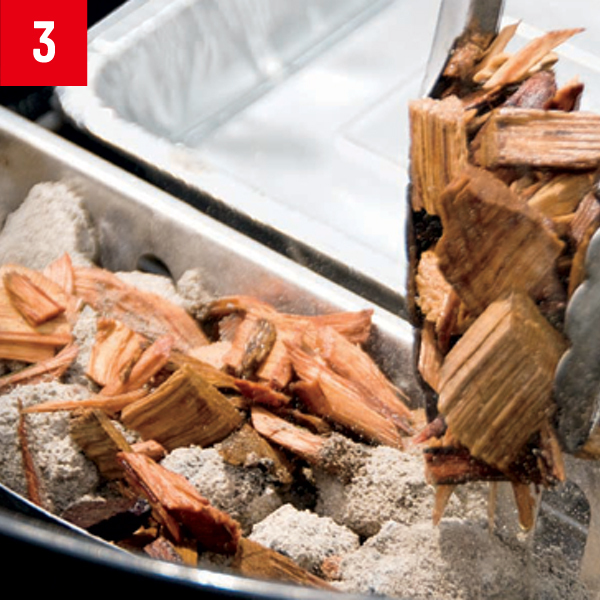 Drain some wood chips and lay them right on the coals. 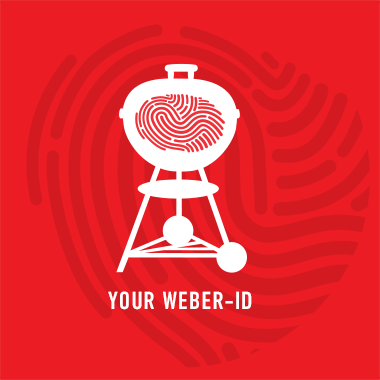 Replenish them after the first hour of cooking, ideally when you replenish the coals, too.